The consumer will often call the manufacturer’s “customer assistance center”, “customer experience center”, or other similarly named facility offered by the automobile manufacturer via a toll-free “800” number to “assist” in resolving the customer’s request for help, or a repurchase or replacement vehicle under the California lemon law. It is vitally important for California consumers to know that these “assistance centers” and the like are staffed by employees of the automobile manufacturer who are typically recording your conversation for “quality control purposes.” The recording can potentially be used against the consumer in a later arbitration or legal action depending upon the content of the recording – that is – if it benefits the manufacturer’s position. You should consider telling the manufacturer’s representative that you intend to record the conversation as well, so both parties have a record of what was said. In dealing with these “customer assistance centers,” the consumer is often given a “case number”. Do not be misled by the word “case” or “case number”. It is not a legal lemon law case, as you might think. It is simply a reference number used to retrieve information on your past call(s) into the “customer assistance center” when calling in again. Often the agent at the customer assistance center will “offer” a “solution” to the consumer’s request for repurchase or replacement of their defective vehicle by offering a Service Contract, Extended Warranty, the return of a few monthly car payments, or other “resolutions” to the consumer’s request for California “lemon law” assistance. These “offers” are often accompanied by a “release” form that forever releases the manufacturer from any legal responsibility to you for current or future problems you may encounter with your vehicle. These “offers” and “resolutions” do not comply with California state lemon law requirements in any way or fashion. Car owner beware! Some customer assistance centers will simply “re-direct” the customer back to their selling dealer to get another repair. Others will “inform” the customer that the customer assistance center will “contact” the repairing dealership. This often simply leads to another repair visit, with no satisfaction to the consumer for their defective vehicle. Some consumers have likened this to the “merry-go-round” syndrome. The consumer does not like the “ride” and “wants to get off”. Consumers who are anticipating calling a manufacturers “assistance” line should first consult with a qualified lemon law attorney for advice and direction. The dealership told me that the manufacturer was going to buyback or replace my vehicle., but I have nothing in writing. What do I have? Essentially you have a verbal promise and no documentation to support it. In this “talk is cheap” scenario the consumer is then faced with the daunting task of trying to decide if the offer (if ever actually presented in writing) even follows the consumer protection provisions afforded by our California Lemon Law! 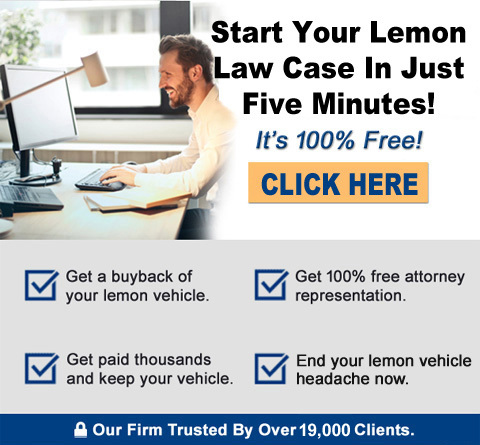 All too often the consumers Lemon Law claim is “settled” by an agreement or award that is substantially less than our California lemon law allows. Proper representation is vital to a successful outcome in nearly all cases.